Do you want to explore SAP solutions? In order for a system to be implemented successfully, you need to build a solid foundation at the end of a healthy planning process. It is imperative to maintain this system regularly, solve its problems and address new needs that occur. Detaysoft 's ERP (Enterprise Resource Planning) started SAP R / 3 with technical consultancy services for and has developed rapidly with the transition to NetWeaver products. With the new technology developed on different platforms "Basis Consulting called" services were formed as "Technology Consultancy". Detaysoft shows the importance for proper management and accurate vision and technology consulting basis in the correct architecture with the quality of the services. Detaysoft is the technology consultant for SAP Enterprise Resource Planning (ERP) that comes with Business Intelligence (BI), SAP Business Object (BO), Customer Relationship Management (CRM), Enterprise Performance Management (EPM), Supplier Relationship Management (SRM), Supply Chain Management (SCM), Portals and Mobile Technology, Solution Manager vS/4HANA and provides technical support for all products. 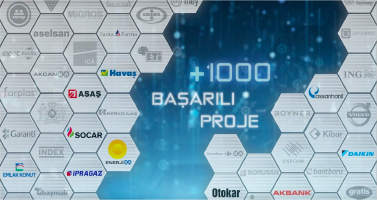 Detailed analysis is performed using the SAP tools when starting the projects under the supervision technology. This performance management on the right infrastructure, upgrades to new versions, security and authorization processes are carried out smoothly by Detaysoft’s experienced technical consultants. 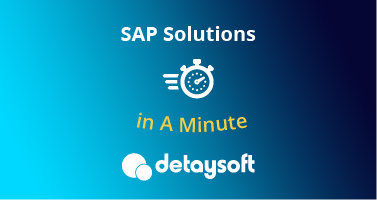 Detaysoft’s staff of experienced technology consultants who follow the latest technological developments provide implementation processes and technical training for SAP and support customers with managing their SAP system. Detaysoft offers outsourced technology consulting services in SAP to firms that do not have technical consultants on their staff. Companies can achieve more effective processes by leaving the management of the system to an experienced team. Accurate positioning of products in line with customer needs, the creation of this product, managing and upgrading to the new version in the world of SAP allow integration with other software. In this context, the management of the database used by the product, application performance solve highly critical needs such as security and management.